For shoes, 3D-printing may be the next logical step. 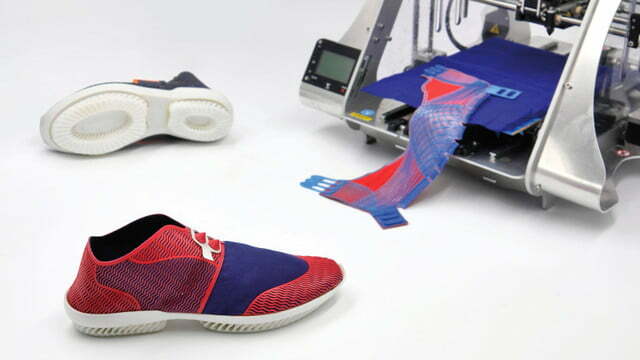 The idea is that 3D-printed shoes could be an affordable way to manufacture customized shoes quickly. 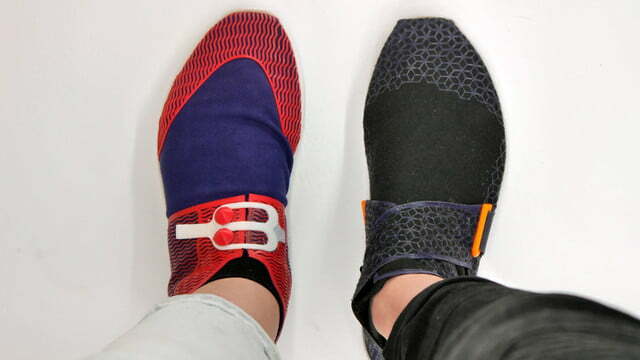 And two design students have already designed a prototype, 3D-printed shoe made of eco-friendly materials. 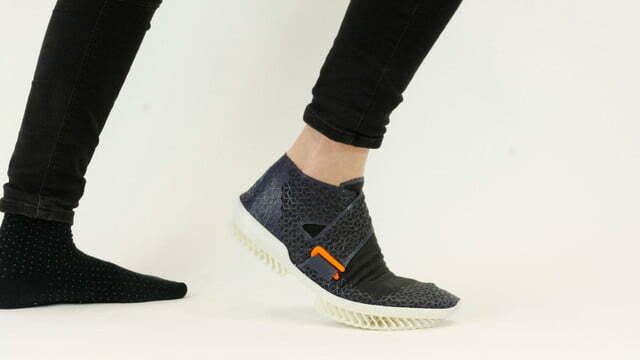 Zuzanna Gronowicz and Barbara Motylinska developed the unique shoe as part of their graduation project at the Acadamy of Fine Arts in Warsaw, Poland. The duo plan to use this design, nicknamed Shoetopia, to start their own business. Currently, billions of shoes are manufactured each year in Asia. A single shoe can use up to 30 different materials in its design, many of which are nearly impossible to recycle. Using a ZMorph multitool 3D printer, the two students were able to simplify production and reduce the number of materials. The only materials used are either natural textiles or flexible, biodegradable filaments. While attempting to stiffen the shoe’s upper and give it a more urban design, Gronowicz and Motylinska developed a unique method of printing onto a material. This method allows the shoe to be constructed without any gluing or sewing. 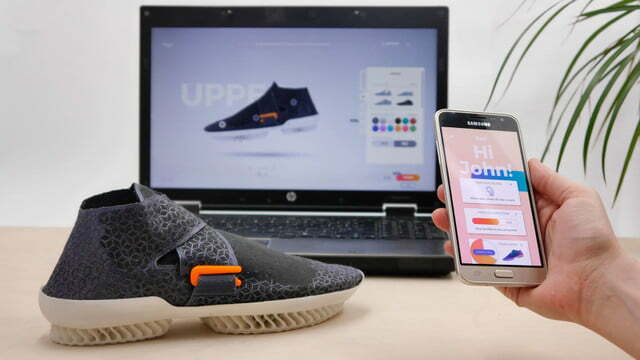 At the same time, this allows users to choose how their shoes look. For comfort, creating a light and flexible sole is key. The final design features a parametric openwork structure that can accommodate various shapes of feet. This structure also reduces the amount of material needed to provide support and durability. In addition to designing the shoes, Gronowicz and Motylinska designed the layout for a dedicated app. 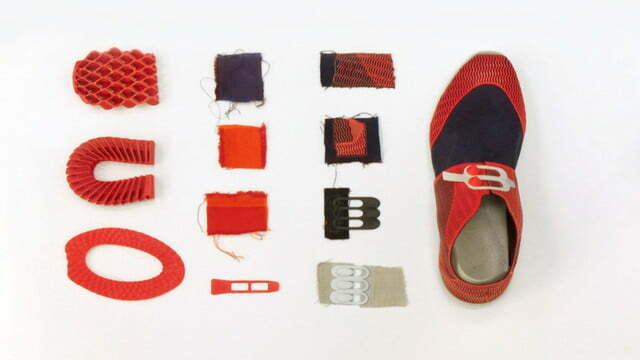 Using a smartphone or computer, users could design their own shoe and save them for free. 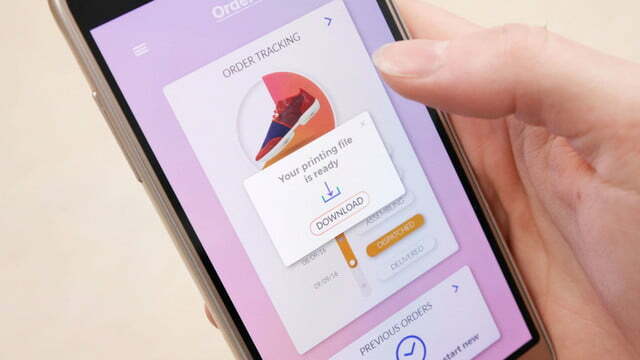 Users could then either order the shoes directly through the app, search for a local 3D-printing workshop nearby, or print the shoes with their private printer. With the prepared algorithm, users wouldn’t need any specialized skills to put the shoes together.